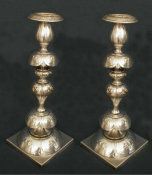 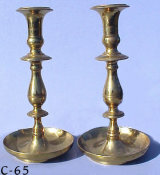 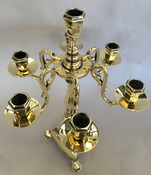 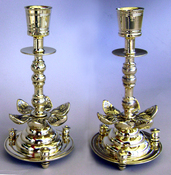 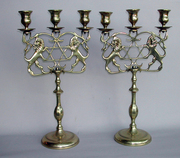 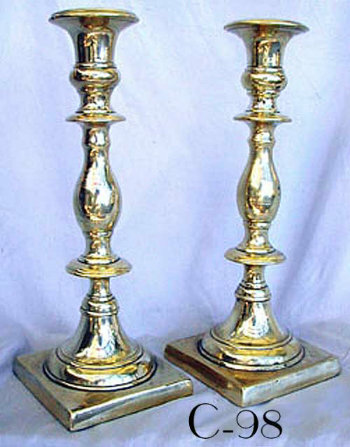 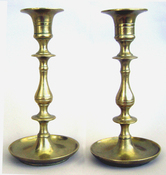 18th Century heavyweight Sabbath Candlesticks made of polished brass bell metal with lovely details and banding. 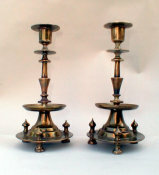 Large hand turned screws, and ovoid knops on a baluster stem rising from a square, base. 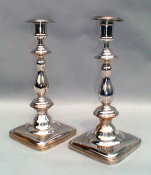 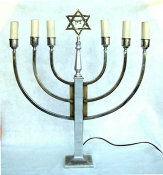 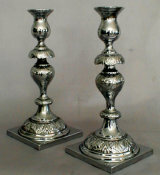 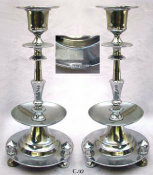 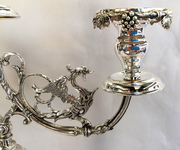 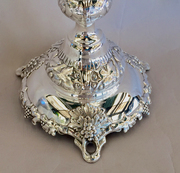 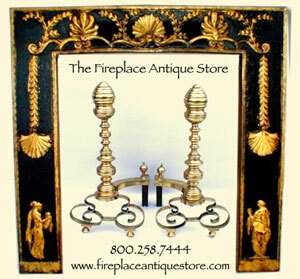 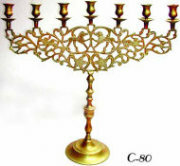 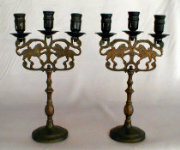 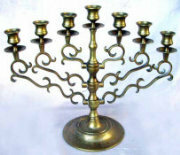 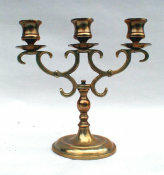 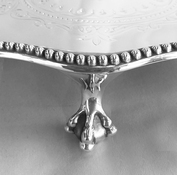 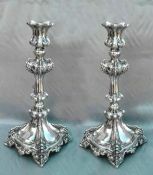 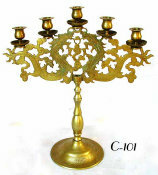 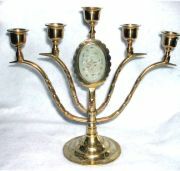 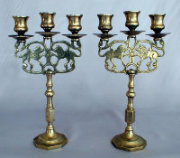 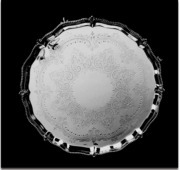 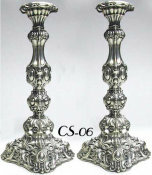 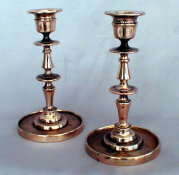 Candle holders are of flared krater shape.